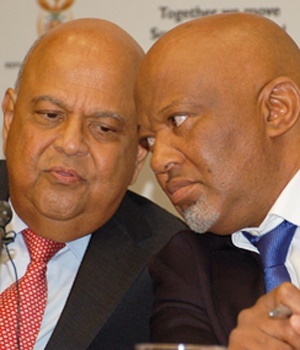 Cape Town - Many see the decision by the governing African National Congress (ANC) to send the disgraced former CEO of Eskom to parliament as the precursor to another attack on the National Treasury and to remove finance minister Pravin Gordhan. The decision to give Brian Molefe a seat in the country’s parliament has led to widespread speculation that he is being positioned for a cabinet post – either as finance minister or as deputy finance minister. While some commentators believe that President Jacob Zuma has his sights set on appointing Molefe as finance minister, others argue that the real target is Deputy Minister Mcebisi Jonas. The deputy minister blew the whistle on an alleged bribery attempt by a member of the Gupta family which is at the centre of a political storm amid allegations that it has attempted to exert undo influence on Zuma. This should worry South Africans. The country’s current account deficit in the third quarter of 2016 was 4.1%. This means that the sum of imports and external debt – borrowing from abroad – is larger than the sum of its exports and lending abroad. Mineral products, machinery and chemical products alone constitute more than 50% of South Africa’s imports. A weaker rand would make these more expensive since the country would have to pay more rand per dollar value. This means that prices for everything from consumer products to transportation would go up. South African firms, which often depend on intermediate inputs from abroad, would face a rise in the cost for their products and an erosion of their profits. As a consequence, fewer people would invest in the country. A currency depreciation would affect investors in other ways too. A weaker rand would diminish their returns and they would therefore be more likely to look for investment opportunities elsewhere. Not only will they stop investing, they would also likely unwind their existing positions. This in turn would drain liquidity from the financial system, making banks less likely to provide new loans for businesses. The knock on effect would be lower growth and higher unemployment. It is difficult to put a number on the impact of a sudden depreciation of the rand. But some simple back-of-the-envelope calculations can help. South Africa spends roughly US$10bn more on imports than it gets from exports. This corresponds roughly to R130bn per year. If the rand weakens from 13 to 14 Rand per US$1, the country would need another R10bn to finance its trade imbalance. South Africa has watched this movie before. Between November 2015 and January 2016 when Zuma installed the backbencher Des van Rooyen as finance minister the rand weakened from R14.4 to R16.9 per US$. This R2.5 increase per US$ corresponded to additional R25bn cost to finance our trade deficit. On top of this private investors are estimated to have lost R171bn after finance minister Nhlanhla Nene was fired in 2015. "But although they’re important, their ratings don’t necessarily have an impact on the agreements and commissions South Africa have entered into with other countries." This simply is not true. A downgrade affects the interest rates on every new bond issuance. Every year some of our outstanding R2 000 billion domestic and R141bn foreign denominated debt has to be rolled over. Debt services are already at roughly R150bn per year – the second largest position in the country’s budget. A 5% increase in the country’s refinancing cost would already cost South Africa additional R7.5bn every year. Money that is missing to finance social grants, healthcare, police or student bursaries. The banking group Absa did some sample calculations on how a ratings downgrade would affect the average South African. It concluded that every adult person would lose roughly R2 000 because a ratings downgrade would mean that the banks themselves would face higher refinancing costs. These would be passed on to their customers. These numbers mirror a World Bank estimate that a ratings downgrade in South Africa would result in a reduction of R1 000 per capita by the end of 2017. South Africans should not allow this raid on the National Treasury to happen. The last time Zuma and his allies attempted to capture a well-functioning institution for their own personal gains the private sector gave them a hiding. The good news is that it is likely that markets will show a strong reaction this time, too. 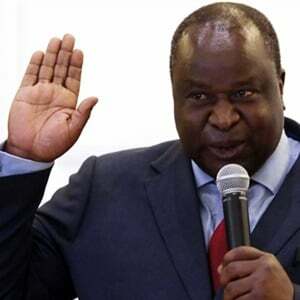 The question is whether ordinary South Africans realise the threat that a captured National Treasury would pose to their wallets and stand up before it is too late. Co-Pierre Georg is a Senior Lecturer, African Institute for Financial Markets and Risk Management, University of Cape Town.